Indian Travel ( A Portal Of Sai Info Soft) : - is a platform which enables you to make effective travel plans and also gives a glimpes of India and its treasures. The seperate list of interesting theme packages tour should help you to choose a holiday to India that is best suited to your taste, interest and assist in effective routing. Here in this section we have listed all the travel agents & tour operators of india which helps you to organise a trip to incredible india whether it is cultural, heritage, safari, adventurous, pilgrimages, beaches, hill stations, wildlife, trekking, yoga ayurveda & meditations and many more customized holidays according to your plan. Only you have to tell us your requirment and we would make perfect & hassle free vacations to india. India is a place where every destinations has it's unique attractions and history. Which is main reason for tourist from all over the world to visit India. India is mainly divided into 5 region, North, South, East, West & central India. These destinations provide theme based attractions not only it is heritage, monuments, wildlife, adventure, hill stations but also traditional and cultural play a major role in it. India is place of great warrior they had made massive forts & palaces in India. Some of the forts comes under world heritage sites and some of the palaces are turn into heritage hotels and museum which describe the great history of the rulers. Specially Rajasthan & North India is hub of great forts & palaces Even in south and Maharashtra has famous forts and palaces as well. On this planet, if any region exist in terms of unmatched variety of Flora, Fauna & Wildlife  It is India. No region in the world can compete with India in terms of its culture, climate, vegetation and Wildlife. 89 National Parks, 489 Wildlife Sanctuaries, 19 Ramsar Sites and 13 Biosphere reserves India is indeed a wonderland. Few know about the diversity of habitats and wildlife as we do. The Lions, the Tigers, the Leopards along with number of varieties of Wild Cats makes India a Tiger Country. With largest population of Deers in the world and antelopes a number of animals found in India are Endangered Species and found no where in the world. Here in this category we have listed major monuments according to statewise and have given detailed informations and significance about these monuments in every region of India. Many of these monuments are listed under world heritage sites and attractios travellors from all parts of the globe. Most of the monuments have open time so plan according to that like Taj mahal Agra is closed on Friday. India is so beautiful country. It provides so much to tourist that from north to south and from east to west some new you would get and these attractions are unique. India is blessed with so many beautiful beaches where you can enjoy your holidays with family, friends, partners and group. 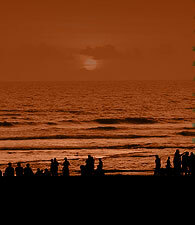 In south and west India almost each and every state has beaches. Tourist from all over the world comes here for sun bath and relaxations. In India they visit so many heritage sites, wildlife, adventure, hil station and pilgrimage and then in last they refresh themself by visiting beaches of India. Here we have given details of beaches statewise to help you choose best one according to your trip. India is colourful country. In each part / region of the country there are many fair & festivals are celebrated every year. Lots of festivals are so famous among the travellers that people eagerly waiting for that and plan their trip according to their time. We have try our best to cover those famous fair & festivals on priority basis that you can get information about that and book your tour according to that. Many cultural and tradtional activities held in those festivals. famous festivals are pushkar fair, kerala boat race, desert festivals, hemis festivals, khajuraho festivals etc. Here are some of the best customized & tailoremade tour itineraries according to your budget & requirement. These packages are providing true value for money and will surely help you to explore India in a better way whether it is duration wise, destinations wise or theme wise.